Let’s get Real. We need a little absence to make the heart go fonder in the Greer house. And that is for all of us. The kids came with me to help volunteer at the school this week and they were in Heaven. They were thrilled to be back at their school and get to see some of their friends. The moms worked hard, and the kids played hard. For them, it was like The Breakfast Club minus the weed, and I am pretty sure no one crawled in the air conditioning vents 😉 They cannot wait to get back to school. As I think back to last year when my youngest, Matthew, was getting ready to enter Kindergarten, I was full of anxiety. My last baby was growing up. And I wasn’t ready to let go or move to the next season in life. A life where all my kids were in school all week. A life where I don’t have my little guy to snuggle on a Monday morning. A life where the teachers get their best, and I get their leftovers at the end of the day. Below is my very first blog post that I published on my previous blog. I share it again to encourage those who going through a change in season now. It is incredibly tough. However, once you get used to your season, you will find the blessings in it. I love living in Tennessee. I love the mountains. I love the valleys. I love the lakes. Of course I love the football. I love enjoying four glorious seasons each year. I love feeling the changes in seasons. I love to feel the warm sunshine on my face after a long, cold winter. My favorite smell is the crisp fall air after a sweltering summer. In life we go through a lot of seasons. The change in seasons in life isn’t always as pleasant. This week I had a change in seasons. The last eight years my season has been one of a mother who spent the majority of her day caring for and nurturing my three children. This week, my youngest son, Matthew, started Kindergarten. Sure my primary role will still be their caregiver. However, the majority of our days we will be apart. Last year when I thought about the day Matthew started Kindergarten, I wondered if I would be walking him in with his new baby sister or brother or would I need a double stroller for twins. 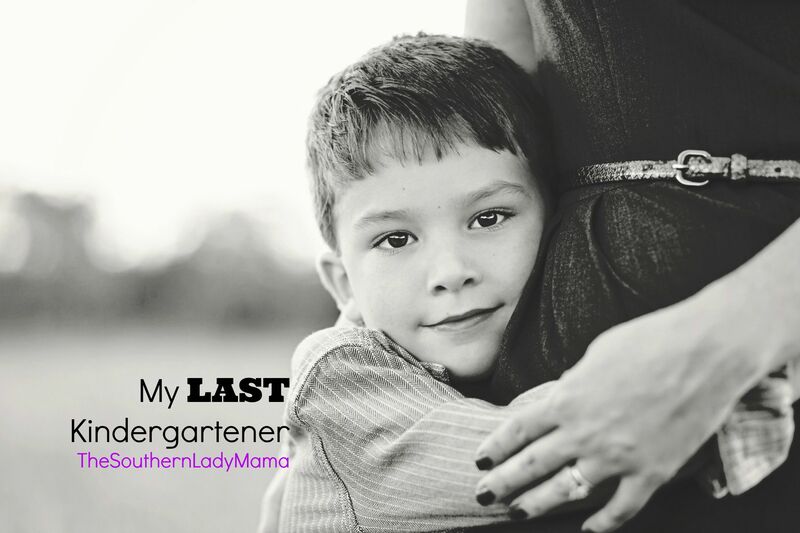 Today I walked my baby….my last baby….into Kindergarten and walked out alone. The season of having my babies home with me is over. There is no sunshine on my face or crisp smell that cheers me up. I am sad and quite honestly lonely. I have a choice I can make. I can refuse to leave this season and take things into my own hands. I could go through IVF again and possibly get pregnant again. Or, there are lots of babies that need a good home. Maybe I could adopt? But let’s be honest. That baby would grow up and go to Kindergarten and this season would finally end. If I could have my way, I would probably have a baby every five years until Eric finally cut me off! I could just be bitter about it. I could be angry. I could cry. A lot. Why won’t God let me have the children I thought I would? I had four embryos. Couldn’t one of them have worked? Why did He take away any remote chance for me to able to conceive when I had my surgery last year? I have a confession to make. I flirted with the first choice. I camped out on the second choice for a good while too. Then, when I finished shaking my fist and yelling at God, I took a breath and I listened to God. The change in seasons in life can be tough. Sometimes down right scary. We can refuse to accept it. We can be pissed off about it. But here’s the deal, IT DOESN’T CHANGE A THING. Here is the choice that I made. I chose to focus on the three beautiful, healthy children that God blessed me with. I chose to be thankful for the amazing supportive husband that is in my life and make up for all the romance that infertility stole from our marriage. I chose to continue to teach in a preschool so that I can share the abundant love that I have for children. I chose to share my story…no matter how hard or private…because I know that there are women who are suffering alone. I chose to praise God for the blessings and heartache. The heartache helps me to remember to focus on all of the blessings that I do have. The heartache helps me relate to other people. The heartache makes me stronger, so I can weather the next season. Since I made that choice, I haven’t looked back. Today I am getting ready to send two third graders and a first grader to school. Would I turn back seasons if it meant I could have another child? Honestly, probably. But God has different plans for me and His plans are perfect. Now I feel like time races by. I drop the kids off and it is like the theme from “24” is playing in my head. It is my to-do list and me against the clock. Can I get it all done before 3:35? Sure I miss having them with me during the day, and I can’t wait to hug their necks and kiss their heads when I pick them up. I have been able to make the acquaintance of another person to help me pass the days. Her name is Stephanie Greer. I lost sight of who I was apart from my three precious kids. I am enjoying rediscovering myself and what God’s perfect plans are for me. Embrace this chance to rediscover yourself too.